Paul Bardot accusa Kristy Majors di aver rubato le canzoni dei Suckerpunch | SLAM! 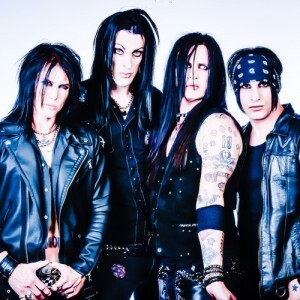 L’ex chitarrista dei Pretty Boy Floyd, è stato accusato da Paul E. Bardot di aver rubato le canzoni pubblicate nel disco Kristy Majors and The Thrill Kills dal materiale pubblicato dal suo gruppo, i Suckerpunch. I Suckerpunch nacquero dopo lo scioglimento dei cult glamster califoniani Swingin’ Thing e pubblicarono un album omonimo nel 1996 per la 510 Records/MCA in 1996. “Sooo everybody, I came across this interview with Kristy Majors. You may know him from his time in the glam band Pretty Boy Floyd and most recently The Thrill Kills. In this recent interview, he talks about his new album, stating various times that he wrote the material on the album. How do I know this… after fronting the band Swingin’ Thing from 1989-1994, I was the singer for a band called Suckerpunch out of Los Angeles between 1995-1997. We recorded an album on an independent label called 510 Records which was distributed by MCA Records. It was a great record that will forever be a part of me and I am very proud of it. Every song from the Suckerpunch recording appears on Kristy Majors new album. It is a direct COPY of our material. He has even taken the liberty to change the titles on a couple of the tracks, most notably “Hand Over Fist” which he now calls “Broken Lip” and “Why Bother” which he now calls “Over and Over Again”. Previous articleGli svedesi Dalton tornano con “Pit Stop”!